Diesel headlines a cast of Elijah Wood(‘The Lord of the Rings‘) Rose Leslie (‘Game of Thrones’), Rena Owen (‘A.I. : Artificial Intelligence‘)and Olafur Darri Olafsson (‘The Secret Life of Walter Mitty‘) among others. The film drops on October 23 of this year and if the trailer is any indication of awesome, this movie will be awesome! 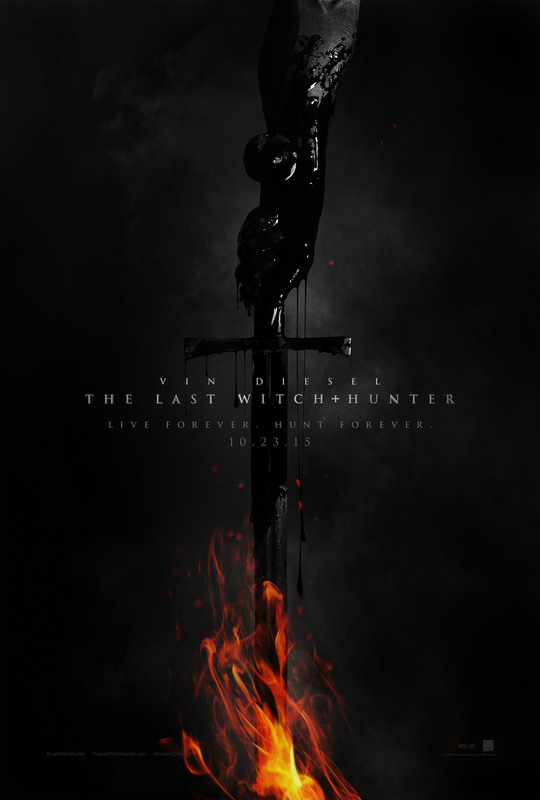 Film Review: ‘The Last Witch Hunter’! This entry was posted on Thursday, April 30th, 2015 at 12:22 pm	and is filed under Film, News. You can follow any responses to this entry through the RSS 2.0 feed. You can skip to the end and leave a response. Pinging is currently not allowed. « Hulu Picks Up Seinfeld and The Walking Dead Spinoff!!! Mr. President! Wow! This is... what a pleasure. As you can imagine, they... they don't let us out much.